Brace yourselves, fans of the beautiful game: It’s back. Every year, when the final transfer has posed with his new kit in his hands and all of the leagues around the world are in full swing, the fans turn their attention away from who was purchased and sold and come to the realization that FIFA is back on the shelves. 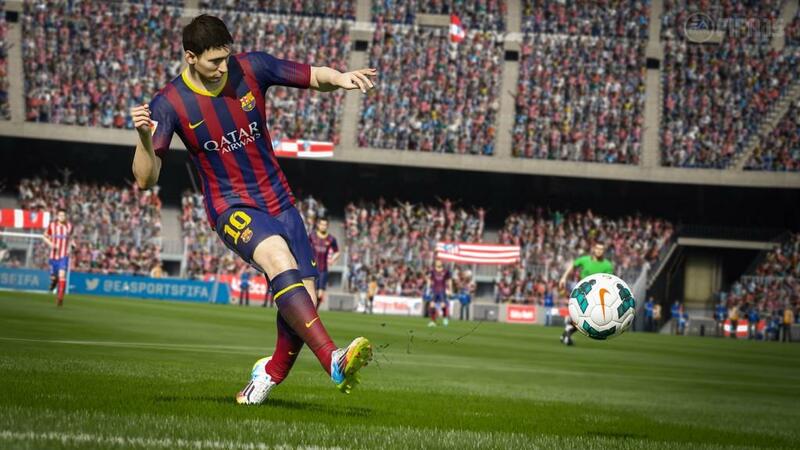 Now that EA Sports has had a full year to work with the next generation consoles, the question is simple: Is FIFA 15 going to surpass the previous versions, or will it be a disappointment like NHL 15 was? 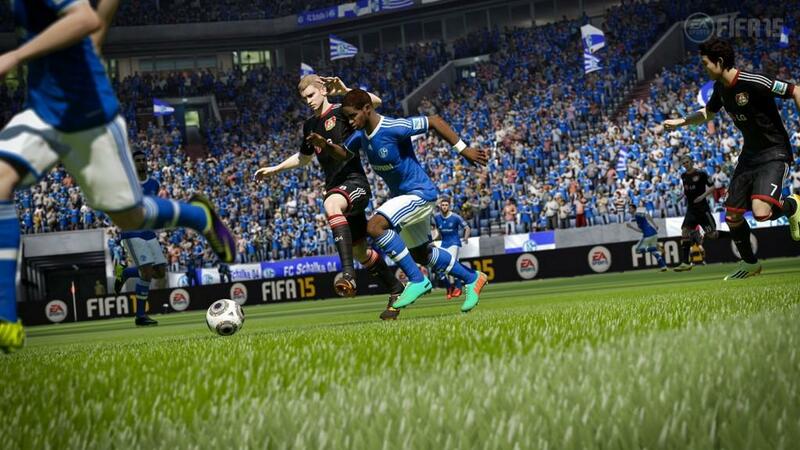 Take a deep breath and exhale, because FIFA 15 is everything you had hoped for and a bag of crisps. The predecessor to last season has somewhat of a mixed bag to deal with. Almost every yearly franchise has to deal with some growing pains jumping from one generation to another, though the FIFA handled it impressively. However, it only got fans of the franchise excited for what was in store for this year’s version. The Ignite Engine, which had a much welcomed positive reaction worldwide, is here to stay, and it has received a refinement to improve upon game mechanics. Gamers are going to notice some subtle changes almost immediately when it comes to dribbling and make their way across the pitch towards net. Players’ ratings have a more noticeable effect on every aspect of their game, but dribbling is definitely where it stands out. For example, a player such as Zlatan Ibrahimovic, who might be a monster at 6’5” and every bit of a nightmare to deal with in the box, isn’t necessarily the best player to dribble up the middle with. The movements will almost seem clunky. On the flip side of this, Lionel Messi is going to look like a well-oiled engine pushing the attack. Dribbles are crisp and cuts are tight for the Argentine. It doesn’t take long to figure out what a player’s strengths and weaknesses are as the Ignite Engine certainly makes it clear after a match or two. The biggest change to the engine comes in the form of Dynamic Goalkeeping. One of the biggest complaints for FIFA gamers is that the goalkeeping had become somewhat stale over the last couple of versions. Keepers often played the exact same way with the exact same motions, so EA decided to put some time and effort into changing this. Brand new saving motions, kicks, punches, and many other mannerisms were added in as part of an effort to make goalkeeping a better experience. Gamers who downloaded the demo probably recognized this quickly as it is an increased challenge to beat the better keepers in the game. Increasing the difficulty, of course, only makes this task harder, meaning gamers will have to find creative ways to slip the ball past the final man. A negative to this, though, is that the AI commands that a gamer can give seem to have suffered a bit. Holding down the “Y” button brings out the keeper to challenge an attacker, but this year there seems to be something lost in translation. Keepers used to take great angles and charge head on no matter what angle the attacker came from. This year, for unknown reasons, this is not a guarantee. This command will result in keepers getting caught more out of position than anything. I experience this in just about every game mode and with keepers of all skill levels, from the general keeper on Pro Clubs to telling Hugo Lloris to charge in my career mode. Here’s hoping for a patch to correct that, because it cause a lot of stupid mistakes that ended with goals. Speaking of commands that can get a gamer in trouble, I recommend to everyone that, if you own a Kinect, it would be wise to turn off the microphone or voice commands. 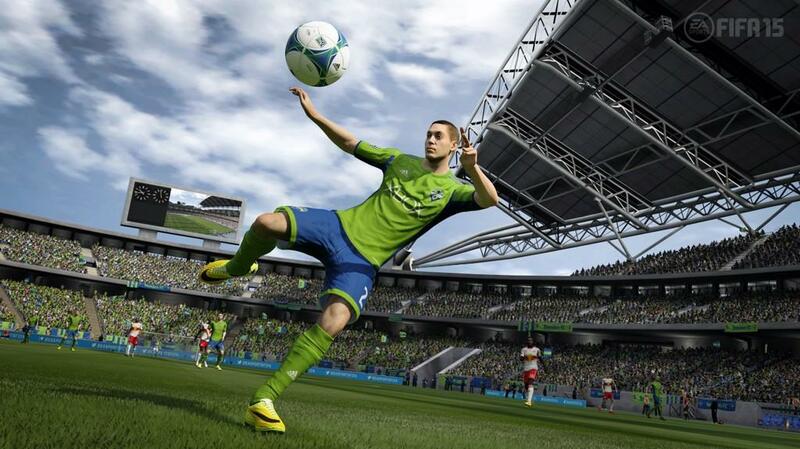 Last year, those who picked up FIFA 14 for next gen found that the game was quite sensitive to reactions in career mode, resulting in the game warning them about their antics and, ultimately, could get a player suspended or even found in breach of contract. It’s much of the same this year, except that normal conversations triggered these events and would also mess up commands to my players on the pitch. Unless you’re a player who absolutely has to have the voice commands, turn them off. The experience is better. I cannot stress how excited I was to see an exclusive partnership announced between EA Sports and the Barclays’ Premier League. All 20 stadiums for the clubs currently in England’s top division are included, and they are as close to perfection as one can hope for. Subtle differences have been corrected, with the best example being at White Hart Lane, Tottenham Hotspur’s home. In previous versions, the writing that wraps around the stadium with phrases such as “To Dare Is To Do” and “Come On You Spurs” were comically small and written in a very basic text that didn’t look anything close to the real thing. 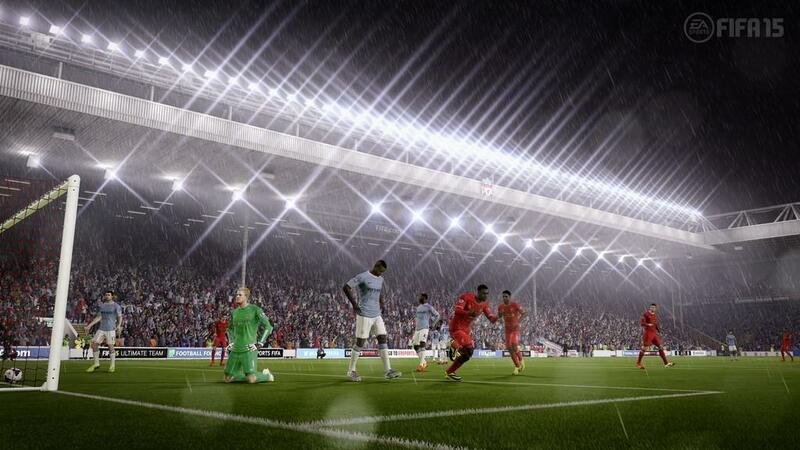 That’s no longer an issue with the detail that has gone into FIFA 15. The true essence of every Premier League stadium has been captured and is as exact as it gets, so much so in that the video boards on the pitch itself will have accurate advertisements that are seen on match day. Martin Tyler, Alan Smith, Clive Tyldesley and Andy Townsend have all returned to the booth for another year, with Geoff Shreeves providing injury updates throughout each and every match while Alan McInally will give updates on other matches occurring during gameplay. New commentary has been added to keep every broadcast fresh, with much of the commentary surrounding the results of the 2014 World Cup. The broadcast graphics for pre-match have been upgraded to give a better feel of watching a match live, and those who follow the Premier League are going to recognize every graphic being accurate to broadcasts as well. EA Sports outdid themselves in creating an authentic experience, which bodes well not only for this game, but for future versions of the franchise. Wrapping up the presentation aspect, player models received a fantastic upgrade as EA Sports went out of their way to capture the likeness of as many players as they could during development. Several videos are available out there on their official YouTube channel, but believe me when I say that some of them are borderline creepy with how accurate they are. 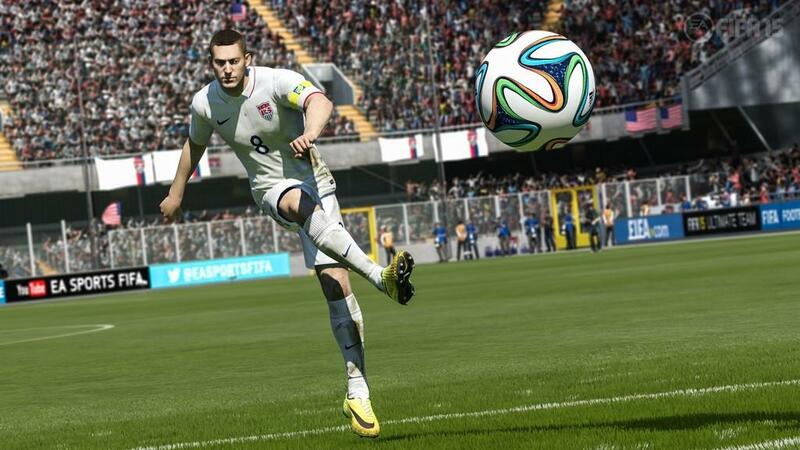 The meat and potatoes of FIFA 15 offline modes come in the form of career mode. The Player/Manager role is still missing, unfortunately, and don’t expect it to make a comeback. One or the other must be selected, so nothing new for the next-gen. The biggest change comes in the form of a revamped UI for career mode. While the UI will still be very familiar from last year, the changes come in the form of upgrades to the sub-menus. The best example is with a complete overhaul of setting the Starting XI, substitutes, formations, and roles. The cumbersome list is a thing of the past, scrapped for a sleek overview that allows quick substitutions and formation changes. Instead of having to select a player and then scrolling through the roster, simply highlighting a player and pressing “Y” will result in the game offering up the best options at that position to choose from, and not just limiting it to that specific position. For example, if a gamer opts for a 4-2-3-1 formation and a switch needs to be made at the left midfield position, the AI will suggest up any midfield position in order of best fit, so the LMs and LWs will get first listing, followed by CMs, and so on. The system is very intuitive and makes setting a roster more enjoyable and easier to do. Building upon this, personal team sheets have been added as a means to quickly change rotations and players. A new sheet can be added at any time with any selection of players. Making a few of these for different situations, such as league play, European play, and cup ties makes rotation as simple as it can be. Much to my chagrin, the Global Transfer Network is still a thing. I talked about how I wasn’t a fan of it last year and gamers who aren’t familiar with European leagues and players were going to suffer with this. The GTN is here to stay, it seems, but it has at least received a much needed upgrade. Ultimate Team players are going to love that the search engine has now been implemented in career mode, which has cushioned the blow as gamers can now simply search for a team, cycle through the players, and find someone that they know to try and buy them away from their current club. Scouts are still a necessity; however, as they must be in the same country as the player in order to search for them as well as to complete proper scouting. The rest of the UI for career mode has stayed intact, and there is nothing wrong with that. If it isn’t broke, don’t fix it. If managing a team isn’t right for you, then the player mode is back in all its glory. Truth be told, there are very few changes to this mode, so there isn’t much to say other than it is still fun to play, though I wouldn’t recommend using the “Be a Pro” camera angle. The FPS is noticeably worse and may cause some issues as it did for me, such as a headache after about ten minutes of playing. Allow me to share a story with you about my experience with career mode. Normally, I simply focus on the positives and negatives of a game and wrap them up into a review. However, the transfer market has to be talked about in great detail. For those who are FIFA newbies, let me explain: There are two times a season when a player can actively buy, sell, and trade players with other clubs: July 1 to August 31 and all of January. All moves must be completed in these windows, so a player has to make sure that they not only have their Starting XI in order, but their depth must be there, or else it can get insane at the end. In short, that won’t be a problem: This game’s AI absolutely loves to spend money. Instead of doing anything with my own team, I essentially simulated the window to see what other transfers occurred and what the offers were like for my own squad. Hugo Lloris and Christian Eriksen were highly sought after, with offers for Lloris being as much as £35million from PSG in the opening window for my career. I restarted the career from the beginning of the window and did what I could to negotiate with some of the teams within the means of my budget. Pogba ended up coming to Spurs for just £17million and Stevan Jovetic found himself in the lilywhite for a paltry £15million. After a very successful first half of the season, AS Monaco made me realize that the AI simply doesn’t care about money and considers it to be just an object. I say this because Monaco would eventually pay a whopping £70million for Jovetic. 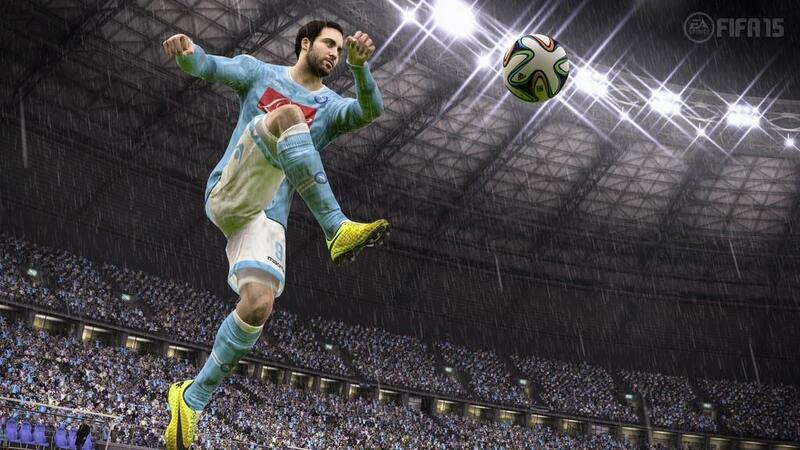 To be fair, he had amassed 22 goals across all competitions and was in-form at a solid 86 rating. If you’re willing to part with the best player on the team to make money and build up other positions, then this version is amazing. Negotiation is improved and teams will actually move on their prices within reason, and here’s the best example. Spurs’ supporters may want to divert their eyes because I did the unthinkable that doesn’t include talking about Gareth Bale: I sold Hugo Lloris. At the beginning of the second season, Lloris was at an 88 overall and was the second best keeper in the game behind Manuel Neuer of Bayern Munich, who had stayed at his 90 rating. PSG offered £41million right out of the gate on July 2. The CEO notes stated that I could counter with as much as £75million and they may go for it. Instead, I asked for £100million because I’m Dr. Evil when it comes to my transfers. PSG countered with an offer of £80million. Suddenly, we were in Cristiano Ronaldo and Gareth Bale territory for transfer fees. I countered with £95 million. PSG offered £85million. I countered back with £90million. PSG then wrote a check and had Hugo Lloris while I ran to the bank with a pirate’s share of money. 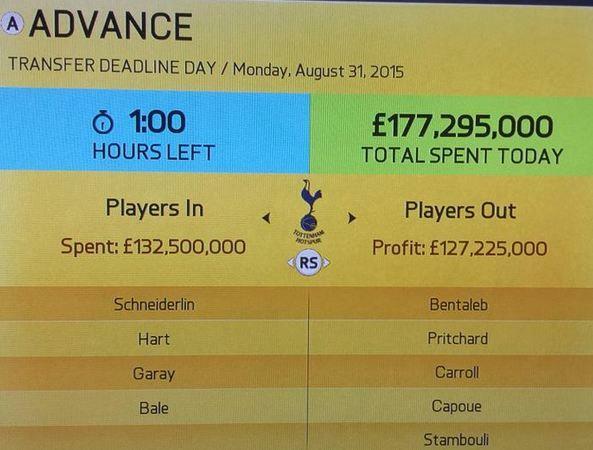 Welcome to the FIFA 15 Transfer Market. Ultimate Team has been a cornerstone of the FIFA franchise for a few years now and has progressively improved with each generation, though the core of the concept has always remained the same: Buy, sell, and trade cards of players to build your own all-star squad and take on the world in leagues and tournaments. The idea seemed silly several years ago, but it has quickly become one of the absolute best additions to sports titles in recent memory. It isn’t everyone’s cup of tea as it can be a little expensive to get a monster squad quickly, but there’s no denying the popularity. EA realized that there may be a disconnect with those who might not want to put the time in to building up a squad, so it’s offered an olive branch of sorts in the form of loans. There was a lot of speculation as to just how EA would manage this system. Obviously, it wasn’t just going to be free reign in picking out loan players and running with a team that would feature some ridiculous combination of Messi, Ronaldo, and Bale up front. There is a rotation of players that become available for loan based upon the current needs of the team. The number of matches where these players can be utilized are all over the place, but the general idea was roughly three to five matches. After the number has been exhausted, that player is no longer available and will disappear from the roster. It’s a simple way to allow players to get a taste of a great player on their squad without having to open pack after pack and will build up interest in those who have not yet been hooked on Ultimate Team. The other major change is Concept Squads, which is an interface that allows gamers to build their perfect squad and what the going rate is for players. As these players become available, the spots are filled and the total number of coins needed based upon the average going rate will update. It’s also a fantastic little tool to remind gamers of what they need and who the best options are, especially for those building multiple squads based upon country, league, or club. It comes as no surprise that nothing else has changed, though. Team of the Week players will still be available throughout the lifespan of the game and various tournaments will pop up with different criteria that must be fulfilled in order to take part in it, forcing gamers to adjust squads if they don’t quite fit the bill immediately. We’ve covered a lot over the course of this review. I see almost every change that has been made as a positive one with just some minor problems with the AI, primarily for goalkeepers. The presentation is magnificent and is truly a pleasure to enjoy while locked into a long session. Even with as much as I’ve talked about, I still feel as though I’ve only scratched the surface on how deep this year’s version is. For all of the negative talk that some gamers give to yearly sports titles that end up being “roster updates,” FIFA has always seemed to keep things fresh and offer plenty of changes. This year is no different, but it feels better than past seasons because the next generation has truly been utilized. The stadiums are gorgeous, player movements are more accurate, and the difficulty has been ramped up to offer a better challenge. There are game modes for everyone to enjoy, no matter their fancy. This is a definitive upgrade from the launch title of last year, and is one to be appreciated.